New York (VNA) – United Nations (UN) peacekeeping activities should be reformed to adapt to arising security challenges, said Ambassador Nguyen Phuong Nga, Permanent Representative of Vietnam to the UN. Nga made the remark on August 29 at the UN Security Council’s Open Debate on UN Peacekeeping Operations in New York, which drew representatives from more than 70 UN member states and several international organisations. 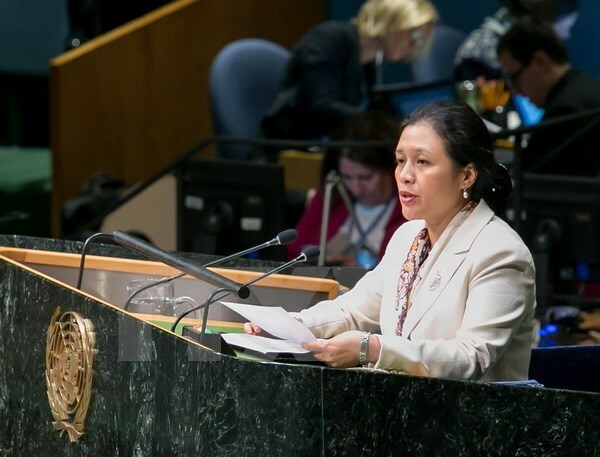 She stressed the need to specify tasks of each mission in accordance with its country’s situation, adding that all peacekeeping activities must respect sovereignty and not interfere in countries’ internal affairs. It is also necessary to intensify coordination among UN agencies, nations sending troops, recipient nations, and regional organisations, she stated. Vietnam will continue its participation in UN peacekeeping operations and is preparing to deploy the level-II field hospital in the UN’s Peacekeeping Mission in South Sudan, Nga added. Participants at the debate suggested increasing the efficiency of the missions’ operations to solve root causes for conflicts, and seeking long-term and sustainable solutions for people in conflict zones.